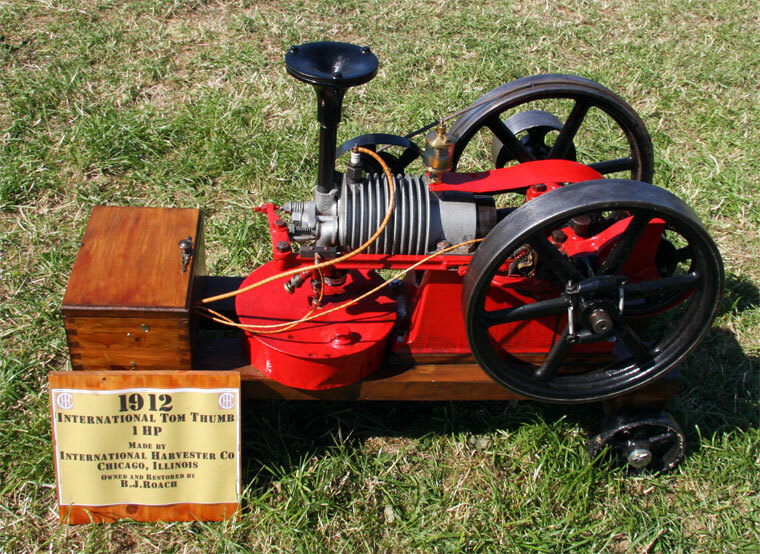 1912 Tom Thumb 1 hp. 1932. Harvester Thrasher, ready for work and folded. 1953. R Series 250hp. Reg No 27 XKE. 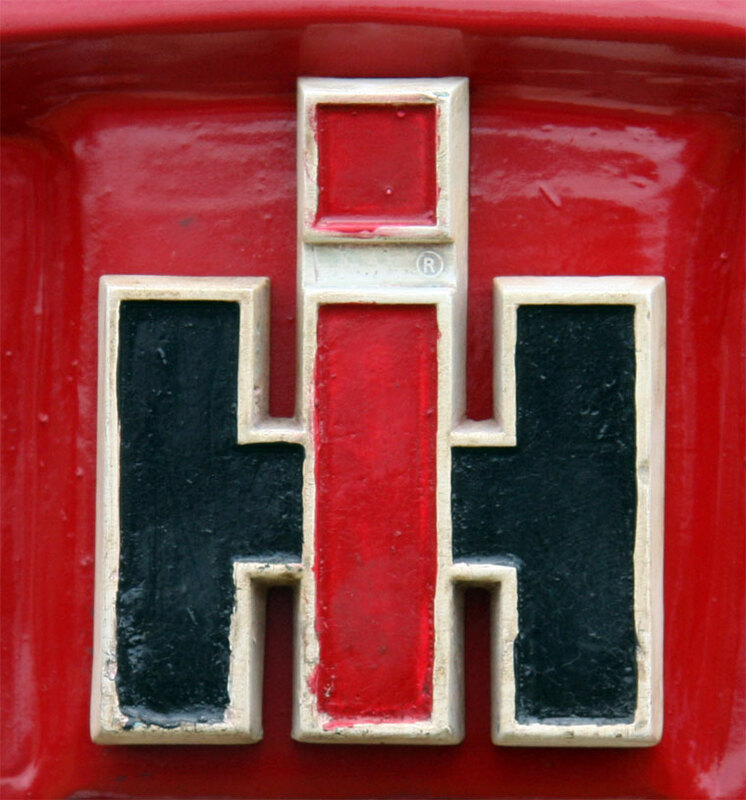 The International Harvester Co (IH) was formed by the merger of the Deering and McCormick companies; the first tractor to bear the name was produced in 1906. 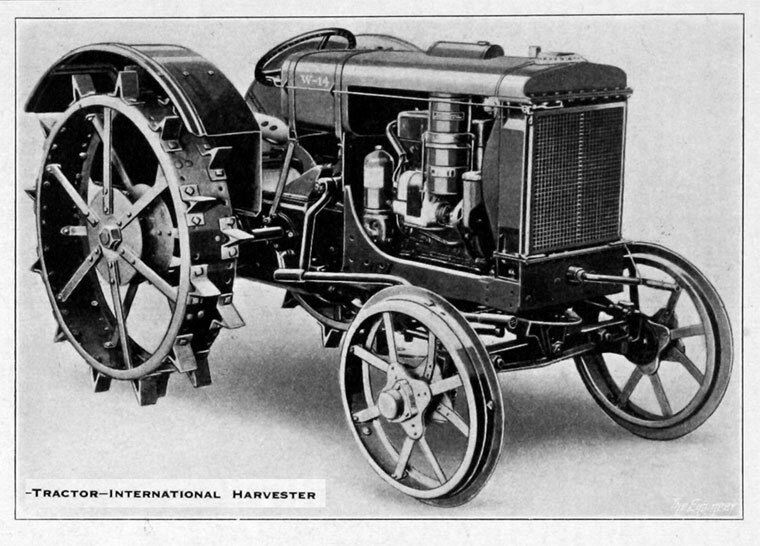 1906 First International Harvester tractor was produced at the Deering plant in Milwaukee. These were the 'friction-drive' models and were available in 10,12,15 and 20 HP capacity. 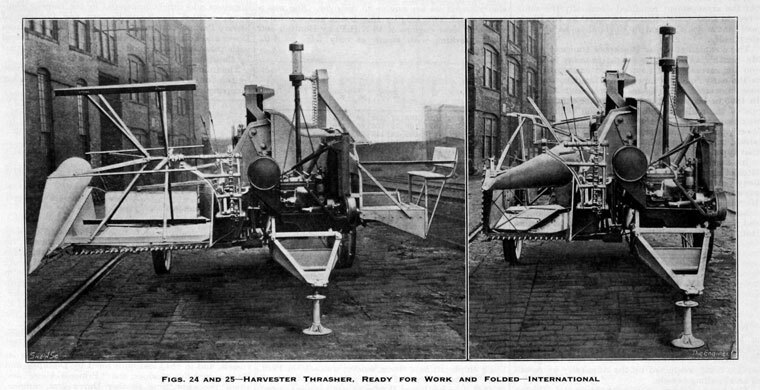 In December 1906 made a Private company in the UK and International Harvester opened offices in Southwark Street, London, moving two years later to Finsbury Pavement. 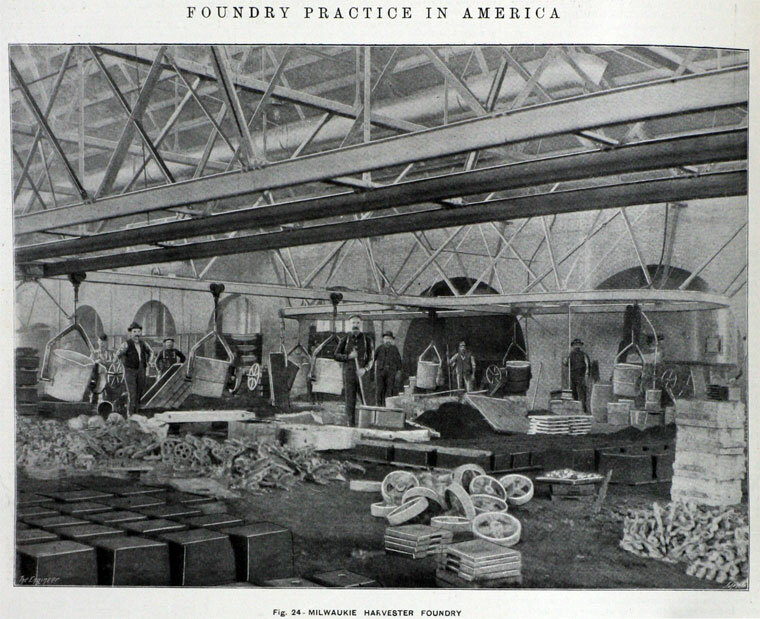 Expansion into Europe continued with the building of factories in Germany, France and Russia. Following the merger of McCormick and Deering, United States dealerships insisted that they wanted to continue selling separate products. The outcome was that the McCormick dealerships sold the new Mogul tractors and the Deering dealerships sold the new Titan tractors. The Type C Mogul was produced in 1909 followed by a number of revised models. 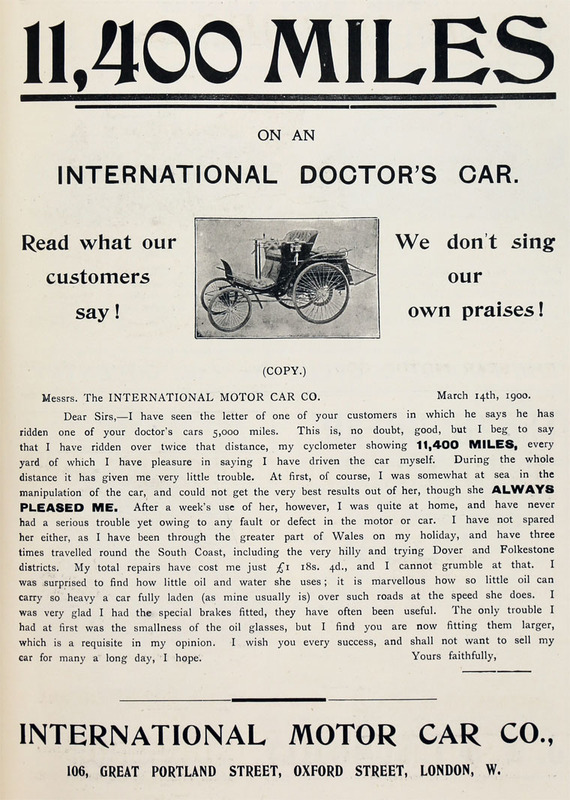 The Titan was produced in 1910 and upgraded models were produced over the next few years. 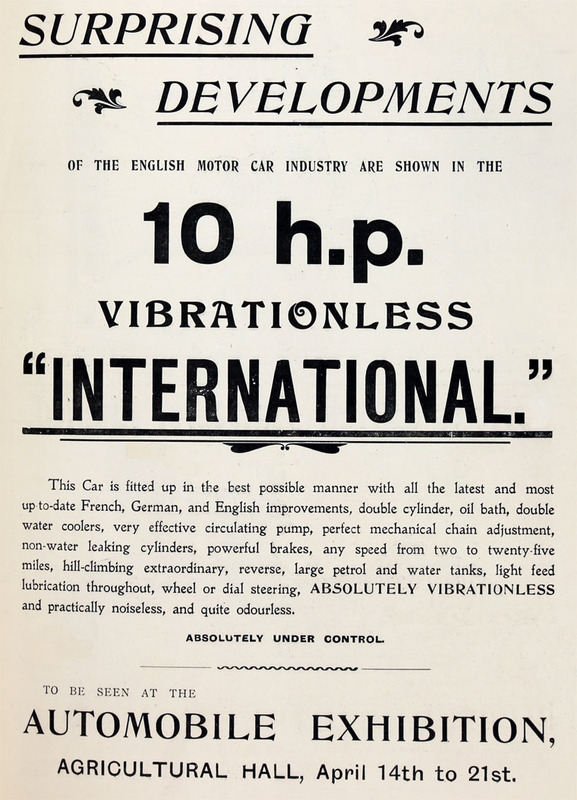 In 1917 the International 8-16 was produced. This tractor had the company's own four-cylinder engine and could be adapted for industrial work . The 15-30 was introduced in 1921 in an attempt to compete with the Ford Model F. Although not as cheap as the Ford it still sold well over an eight year period. It was replaced in 1923 by the 10-20 model which was produced until 1939. The next machine that International Harvester designed was the Farmall. This was created to combine the features of heavyweight machines for belt work and smaller machines used for cultivating crop rows. In 1932 the Farmall F-20 was introduced and sold up to 149,000 units up to 1939. 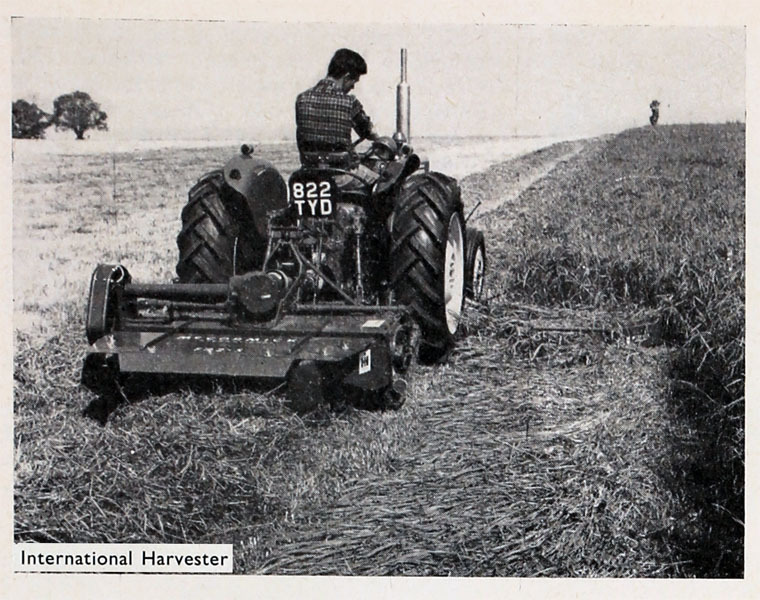 1946 UK public company incorporated: International Harvester Co of Great Britain Ltd, based in Doncaster. 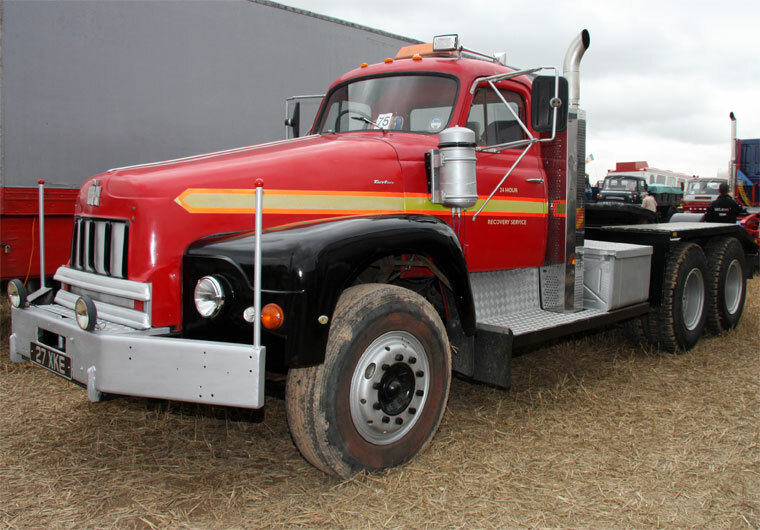 In 1985 International Harvester sold off its agricultural division and renamed the company Navistar International Corporation (1986). 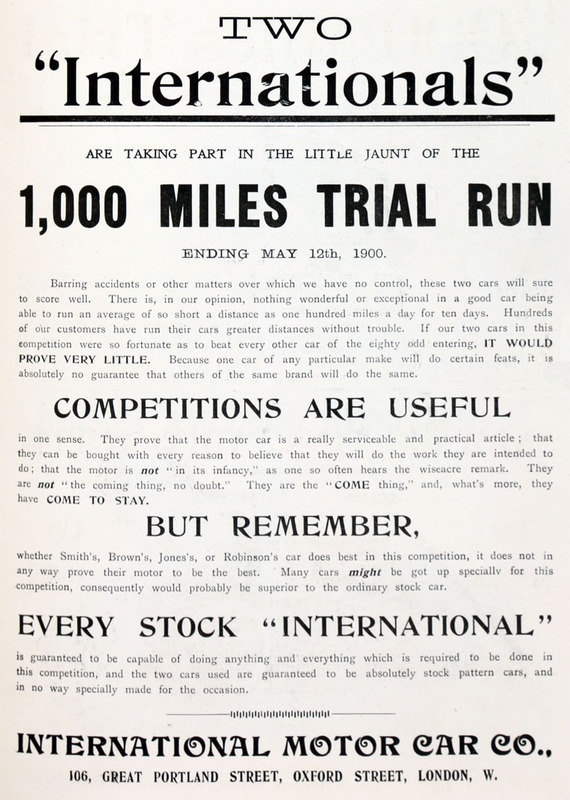 Case IH was formed when the agricultural division merged with J.I. Case. This page was last edited on 30 September 2016, at 12:19.